The miracle medicine has been around since 1998 – but this year was a special one for ‘Stem Cell’ medicine. 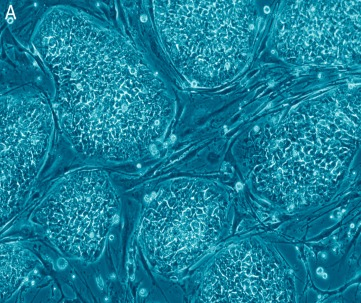 Stem cells are basically body cells that can evolve into ANY other cell, originally available only if one stored cells from the end of the umbilical cord at birth – many more feasible sources have been discovered. This year – from the outstanding discovery that stem cells can be created from other, normal body cells to 2 AIDS patients being cured with stem cell treatment to the American Supreme Court increasing their acceptance, it was an amazing year for stem cell researchers, doctors and entrepreneurs. And for us, the users – the wider acceptance has opened to us a medical option that changes everything. Such is the nature of stem cells that they can be applied for any kind of problem in any part of the body – and for any disease – a true super-medicine. It shouldn’t be overhyped – if it could cure everything – every cancer and AIDS patient would be cured wouldn’t they? But the potential is there – it’s very nature makes a stem cell cure for AIDS and cancer not only possible but feasible, and soon. Their already exists a sort of the latter, and there was a breakthrough in the former just this year. It could really be the cure for all diseases, and very significantly – the end of epidemics – if we have one cure for all diseases – no new ‘Swine Flu’ can surprise us anymore. A revolution that will fundamentally change our lives – is underway.